Chancellors hotel is a beautiful grade II listed Victorian mansion set in 5 acres of stunning landscape gardens dating back to 1850. I was delighted when Hannah and Mike asked me to capture their big day. I was super excited to capture some amazing pictures at one of Manchester's best kept secrets. 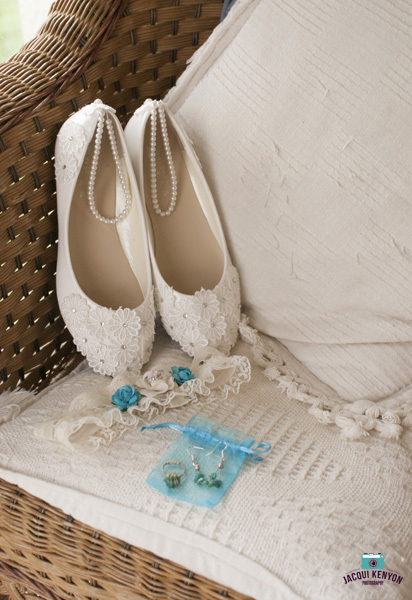 I arrived bright and early ready to capture my favourite part of the day, bridal preparations. So many different emotions flying around you never know what you might capture. After mooching around the grounds, I located the bridal party tucking into a good old English fry up. I joined them for a brew and a chat as excitement and nerves filled the room. It was a relaxed morning full of lots of laughter and of course the obligatory Prosecco. Hair and make-up was created by the lovely Amy Curran Hair & Make up and she did an amazing job. 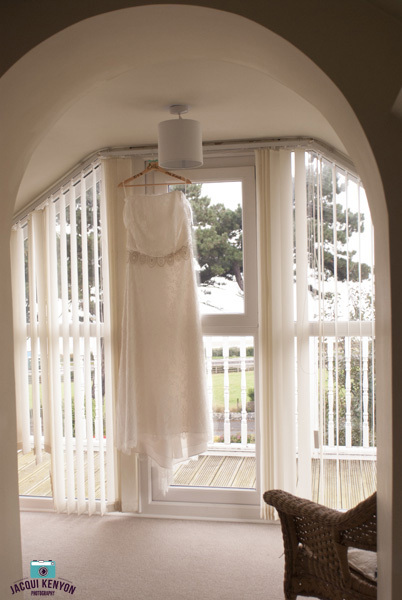 Hannah`s dress was purchased from David`s Bridal and I'm sure you'll agree what a stunning gown and suited her perfectly. The ceremony was held in the carriage restaurant which features very high ceilings and large glass doors which is flooded with natural light which created the most natural images. Following the emotional service guests made their way out into the garden terrace to soak up the atmosphere, sip champagne and nibble on some canapes. I then had the opportunity to get some alone time with my bride and groom. Capturing some relaxed photography as the new Mr & Mrs, before returning indoors to the flower suite where the room was decorated perfectly by Sweet 6 Creations. The guests tucked into a delicious wedding breakfast and I have to say the profiteroles with salted caramel were to die for. What can I say, so much laughter especially when the best man brings out a life size cardboard cut-out of the groom, dress as Pocahontas. It has to be one of my favourite best man speeches of all time, just for the surprise factor alone! The celebration continued in to the night with sounds from Alice band and fun on the Photo Booth went on into the night which was supplied by me. Guests were also treated to a delicious hog roast. All the staff at the Chancellors’ hotel did an amazing job and really made it a special day for everyone involved. Here are some of my favourite pictures of the day. This is my final blog of 2016 as we say hello to 2017. It’s been an incredible year and I have had an amazing time capturing so many great moments. 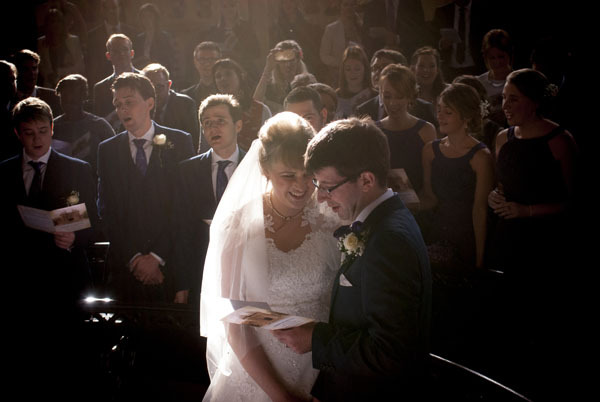 My last wedding was with Becky and Richard who met whilst studying at Lancaster University but now live in London. 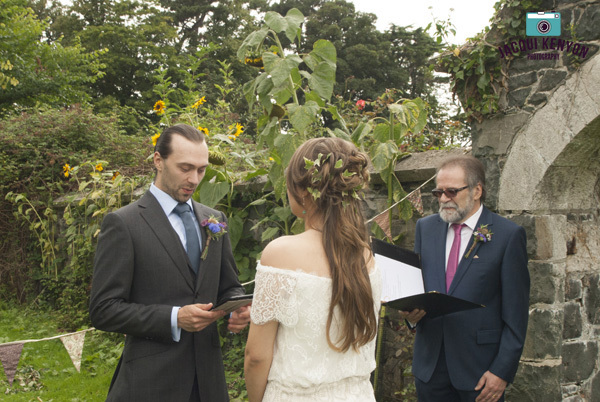 Naturally it made sense that they would return to this historic town to say their I do`s. 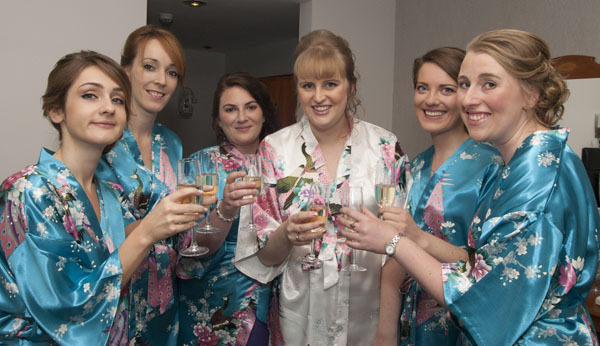 The day began at Lancaster House hotel were Becky and her girls were being pampered. Hair was being styled at the cute little salon inside the hotel by Samantha at the Hair Sanctuary whilst make up was also being created by the in-house time at the hotel. 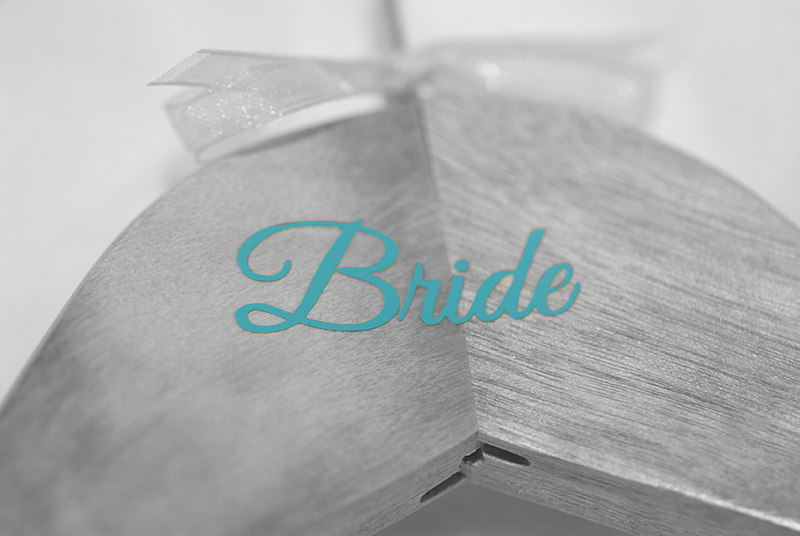 After capturing some images of the preparations, I went off in search of Becky’s wedding gown which was lovingly chosen from Suz- Hannah Bridal of Brighouse which was from the Ladybird collection. After shooting some images of this stunning gown I went in search of Richard who was also getting ready at the hotel. 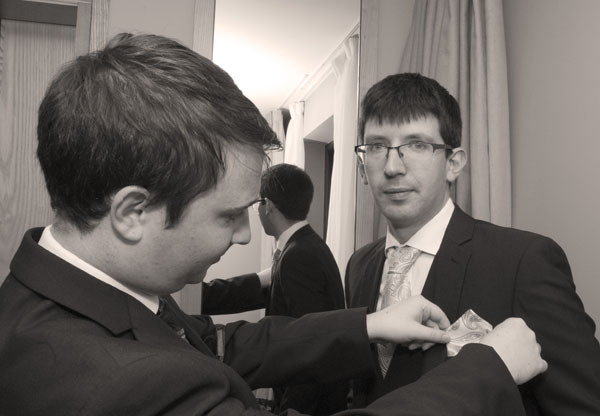 On arrival, no one seemed to know what to do with the button holes so I managed to sort all the boys out. 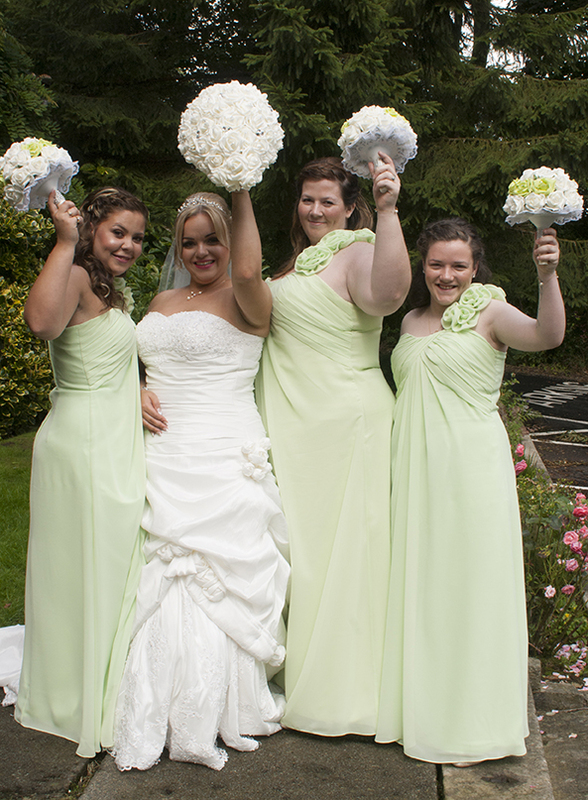 The lovely button holes and flowers were supplied by Dalton Square Florist. I then returned back to the girl’s room where there had been an incident with a bottle of champagne, enough said :P Becky and Richard had arranged for a vintage London bus supplied by Stage Coach to transport all their guests to the Medieval Lancaster Castle, I also managed to hitch a ride which was great fun. Unfortunately, when we arrived at the castle Richard`s dad had been taken ill so he sadly missed the service. Richard and Becky knew that he would have wanted them to continue the day. The ceremony was a very emotional affair and had a special performance from Becky’s bridesmaid Sarah who is an opera singer. 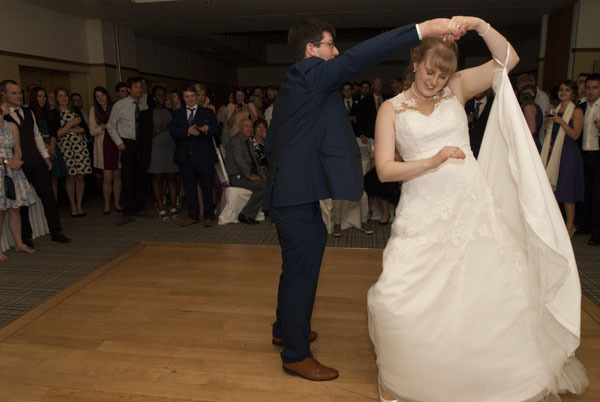 Sarah wowed the guests with the sounds of Adele and The Proclaimers 500 miles, which was amazing. The guests were also invited to sing “It must be Love” by Madness and I have to say this was one of my favourite moments of the day! Following the ceremony Richard & Becky visited Richards dad in the hospital before returning to the reception at Lancaster House hotel. Their guests greeted them with a huge applause. The evening continued with the wedding breakfast and speeches with even a special message for the bride and groom from the Mayor of London. The room was decorated with lots of special touches including the bespoke castle picture which were created by Becky’s Mum with help from her aunty Carol. 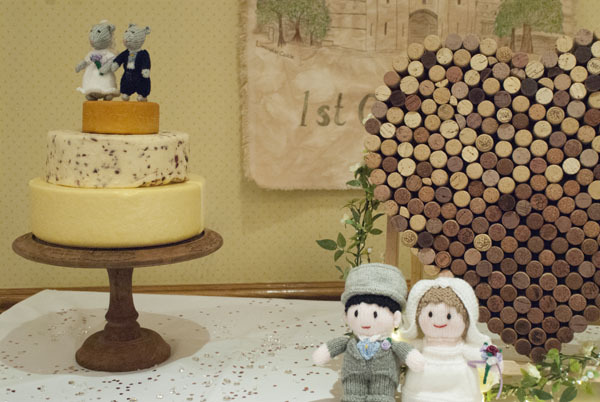 Becky decided on two cakes, the first a traditional one which was created by Creative Cakes, Lancaster and the second aquirky cake made from cheese was supplied by Dewlay Cheesemakers. The guests partied into the night with sounds from the Retrosettes and fun continued in the Photo Booth supplied by me. There was even a human pyramid with Richard Centre stage!! I hope you enjoy my favourite images from the day! I was delighted to be capturing the wedding of Janie & Adam at Adlington Hall following the lovely engagement shoot, which also featured their cute dog, Mia.The day began with bridal preparations at Shrigley Hall where hair was styled by a family friend hair by Robert Brannan who together with his wife created stunning hair for both Janie and her girls. 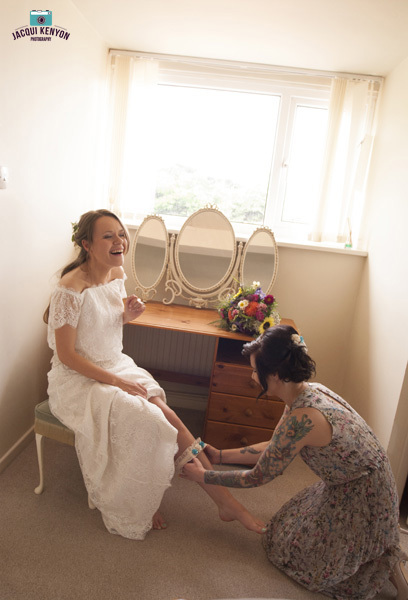 Make up was created by the lovely Victoria Thorley she amazingly managed to carry on despite being stung twice by a cunning wasp whilst protecting the bride from its evil ways! 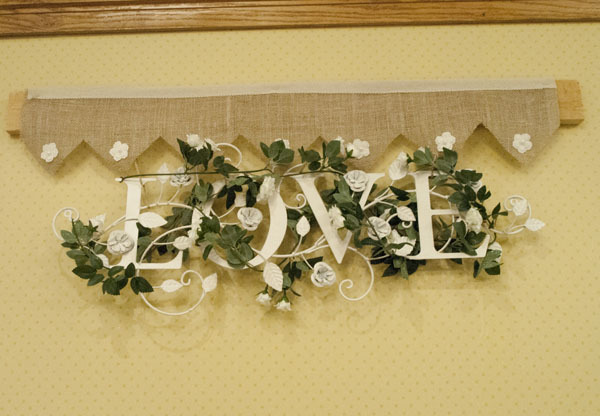 Janie and Adam`s wedding theme was Alice in Wonderland and I was excited to see all the elements of this. The first glimpse of the theme came in the form of Janie`s shoes which were the Alice in Wonderland collection at Irregular Choice and she had selected the White Rabbit edition. I have to say hands down these are the best wedding shoes I've ever seen. Janie`s dress also didn't disappoint and was a stunning blue by Enzoani gown purchased from Lulu Browns Bridal Boutique, Whalley. 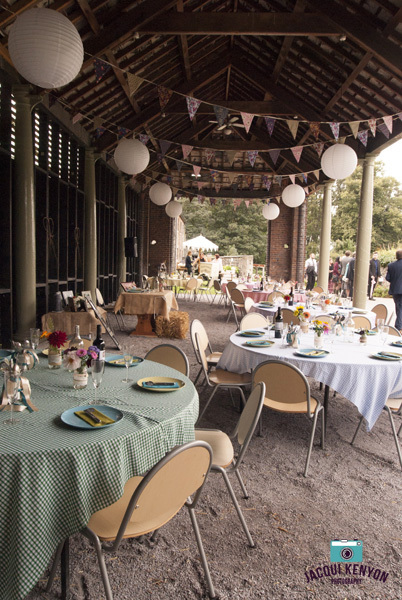 The stunning floral bouquets and arrangements in the room were created by Green Earth Flowers, Poynton and they did a fantastic job bringing the world of Alice to life.Cheshire’s historic Adlington hall was the perfect setting for Janie and Adams vision. The oldest part of Adlington hall is the Great Hall where the ceremony took place. It was built between 1480 and 1505 and the great organ housed here was famously played by the composer Handel.The ceremony was performed by registrar Prudence who was lovely and a pleasure to work with and she put everyone at ease. I was delighted to capture the reaction of Adam`s face as his bride came down the aisle, but I have to say it was the couples precious dog, Mia who really stole the show as she strutted down the aisle. Following the emotional service the guests got to enjoy the beautiful sunshine with a selection of ice creams provided by Vitalianos Ice Cream bike which everyone enjoyed along with the Maze which I believe was great fun. The guests tucked in to a selection of food which was carefully chosen by the couple to reflect their favourite foods. During the wedding breakfast the guests were entertained with the speeches between each course, with the grand finale following dessert with the best man providing an hilarious slide show. As the evening continued the guests enjoyed the fun and frolics of my Alice and Wonderland Themed Photo Booth along with the sounds of Classique Band who had everyone on their feet. The cake was cut just before the surprise first dance and this little stunner was created by Joy to Eat Cakes and it was delicious. Janie and Adam had been preparing for their unique dance and had attended dance classes in the weeks leading up to the wedding. All the hard work had paid off and they stunned everyone with their new moves by performing to Orson`s No Tomorrow which is a song close to both of their hearts. Adlington hall did both Janie & Adam proud and they cannot thank the staff enough. It was an amazing day here are some of my favourite pictures from the day, enjoy. My latest blog comes from Platts Farm in Llanfairfechan, North Wales. This was my second visit this year to this exclusive and unique venue which holds just 4 weddings a year. Sam the owner does a fantastic job to ensure everyone has an amazing time. Platts farm is a great blank canvas so I was really excited to see how Cath & Ostap had personalised the farm. I was invited to stay the night before with Cath, her mum and her best lady, Helen at a quaint cottage close to the venue, as we had an early start. The day began with tea and toast whilst final preparations commenced. Cath's hair and makeup was created by Beauty Brought to You of Conway which really complemented her style. 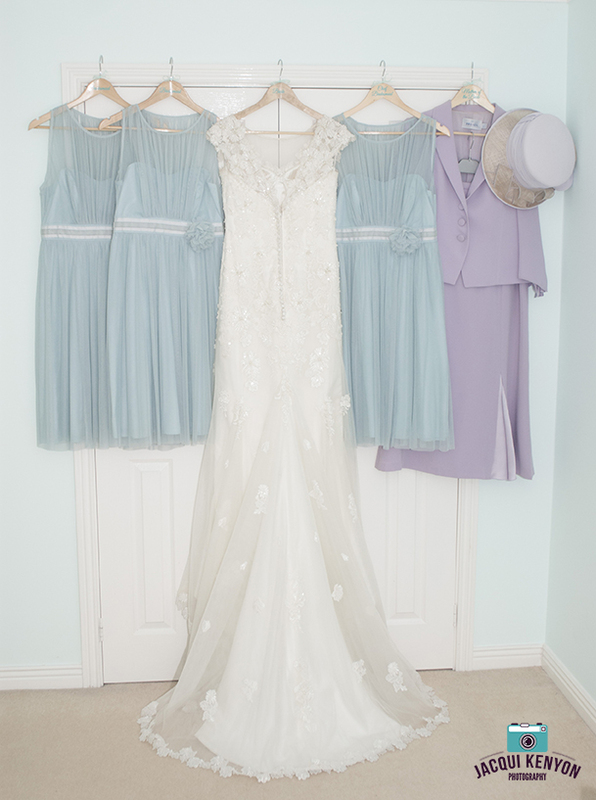 Cath's vintage inspired dress was from The Case of the Curious Bride, Sale. Accessories were provided from Antique Lace Bridal and her unique jewellery from @StringeffectsUK which were made from guitar strings. The stunning flowers were created by Patch to Posy, Davyhulme which I have to say were really something special. Cath had also added a special touch with each bouquet, button & corsage with a scrabble letter representing each member of the bridal party. 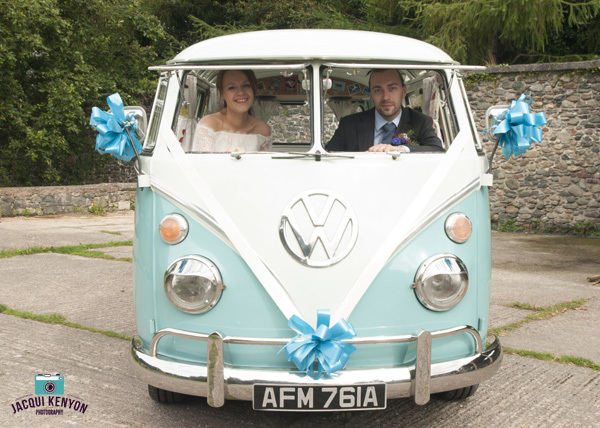 The bride awaited the arrival of Lucy the Love bus a vintage VW camper which was provided by Split the Difference. 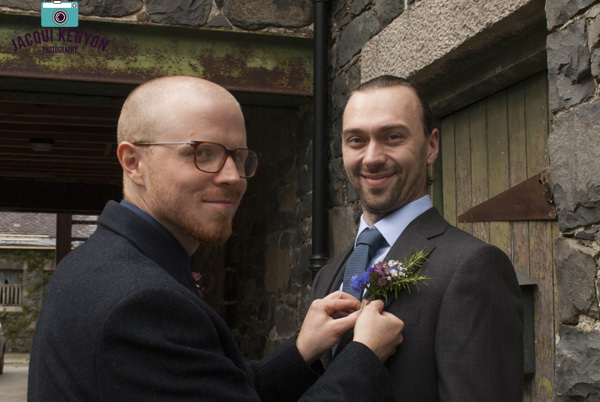 I went on ahead to shoot a nervous Ostap and his best man who were frantically adding the final touches to the farm. Cath arrived in Lucy and their ceremony was a unique, emotional experience held in the walled garden. Following the ceremony the guests mingled and played lawn games whilst enjoying Welsh artisan dairy ice cream provided by The Ice Cream Dreams and delicious scones provided by Jeanie at The Lonely Scone, Glossop. While the guests were enjoying their treats we headed to the beach to capture some beautiful images. Cath & Ostap had a great time and even dipped their feet in the chilly September sea. Guests were entertained by the sounds of Maybe Frank who were a Glossop band, a favourite of Cath & Ostap. 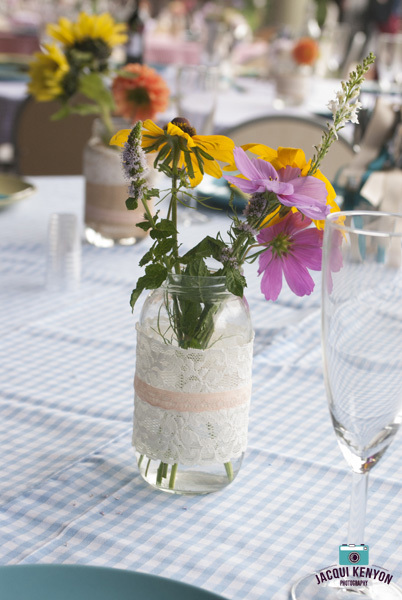 Guests enjoyed emotional speeches followed by a unique meal which was in the form of a picnic supplied in vintage picnic baskets for each table. Cath & Ostap's table was decorated with a unique penguin decoration created by the talented BexCraft. A lot of effort and hard work went in to the day with everyone getting involved making and baking various items and this could really seen on the day, the venue looked stunning. We didn't have one cake for the day we had lots of cakes which were lovingly handmade by each bridesmaid alongside family and friends, which provided an amazing dessert. I personally enjoyed the lemon drizzle cake, The celebrations continued into the night and I travelled home with a slice of cake for the journey. Here are small selection of some of my favourites from the day I hope you enjoy looking at them, as much I did taking them. 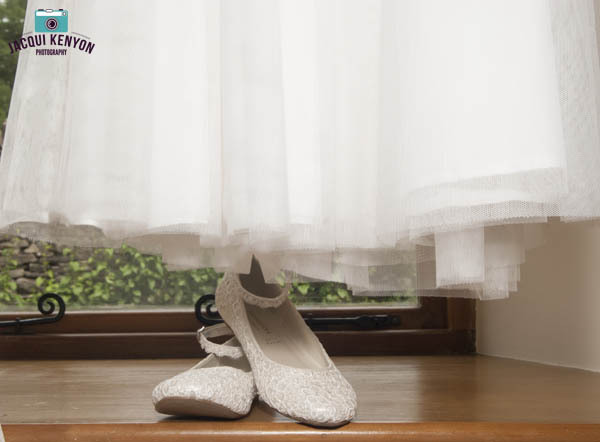 I recently had the pleasure of capturing Natalie and Christians big day at the WhiteHall hotel in Darwin, my day began with bridal preparations in the bridal suite with Natalie and her girls. Hair was created by Janice at Salon Perfection who is Natalie's boss and friend and make up was created by the talented Helen Cafferky. Natalie also worked on her big day styling her mums hair. Natalie's dress was purchased from Wed2B and she had lots of borrowed items which added to the tradition. Natalie's son Aiden also made an emotional appearance in his Paige boy outfit. Guests were greeted by the sounds of Rondino strings a fabulous string quartet playing modern songs. The room was beautifully decorated by Kelly Dooley of Kellibrations. The ceremony was incredibly emotional and I don't think there was a dry eye in the house myself included. Following the drinks reception guests were invited out into the grounds where I took the opportunity to capture some great images of both the bride and groom and their guests. There was also a star appearance from Christians much love car, Bumblebee. The guests then tucked into their wedding breakfast which I have to say was delicious, I especially loved the love heart shaped bread served with the soup. 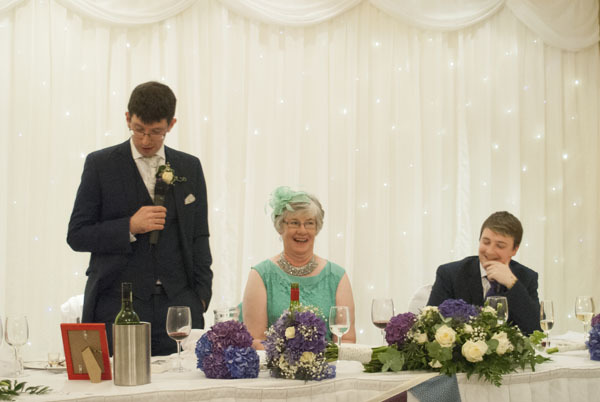 The guests were entertained by the sounds of Matthew Reekie that I have had the pleasure of working with many times and would highly recommend. I recently had the pleasure of capturing Tom & Rebecca’s big day in the beautiful high peak region of Derbyshire. My day began at the delightful Felton Brook Cottage at Horwich Farm, Whaley Bridge, where Rebecca, her bridesmaids and daughter Mia (and toy dog Reggie) were preparing for the day. Rebecca’s hair was styled by her sister in law, Laura of Cutting Edge Hair & Beauty in Whaley Bridge with makeup from friend Louis. 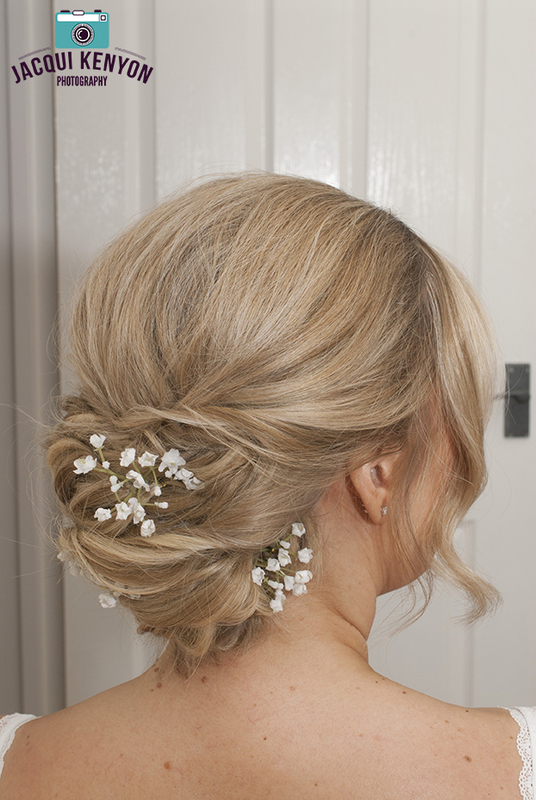 The bridesmaid’s hair was styled by Rebecca's Aunty, Serena of SK Barbers in Whaley Bridge. My first task was to photograph Rebecca’s stunning bespoke gown which was created by Emma Beaumont Design of Knutsford. 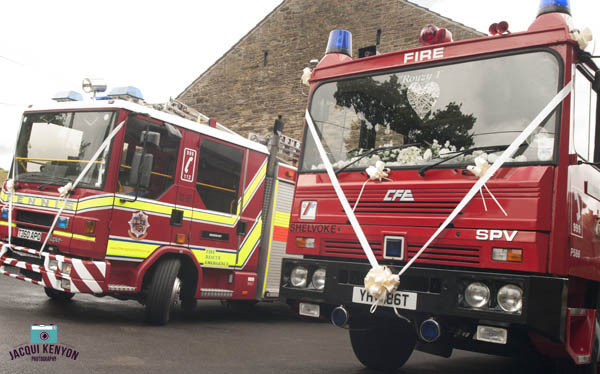 Tom is a Watch Manager for Greater Manchester Fire Service and this gave the inspiration for the wedding vehicles, 2 Fire Engines supplied by Chesham Fire Engine services. 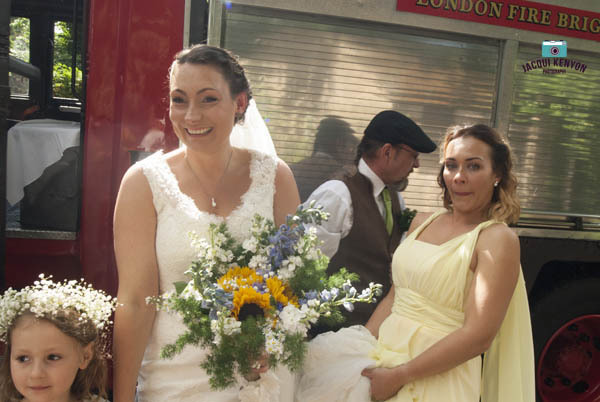 The Bridesmaids made the short journey to the Church in a modern Scania appliance whilst Rebecca and her dad were in the vintage 1979 Shelvoke & Drewry. Flowers, bouquets and unique button holes were created by Lucy, one of Rebecca’s oldest friends. The church was the characterful St James in the hamlet of Taxal. After a lovely service Rebeca and Tom had the honour of receiving a ceremonial guard of honour from Tom`s colleagues at the fire service. 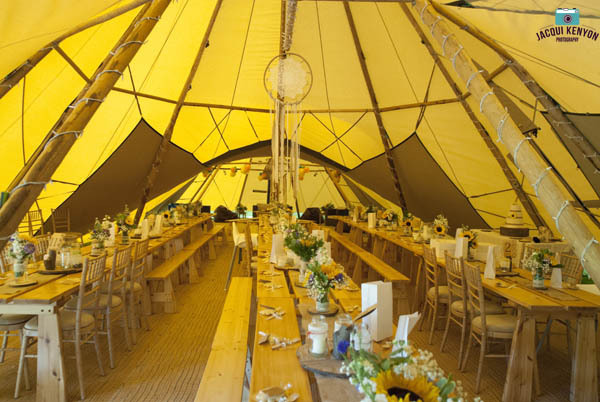 It was then onto the reception back at Horwich farm in a fabulous Tipi supplied Peak Tipis of Ashbourne. Roger Hinchcliffe owner of the farm organised a surprise tractor ride for the Bridesmaids and Mia up to the Tipis. 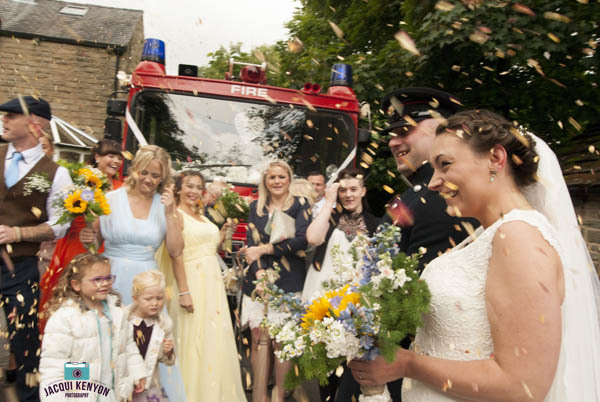 The Bride and Groom followed suit in one of the fire engines with sirens and lights in action to guarantee a spectacular arrival. 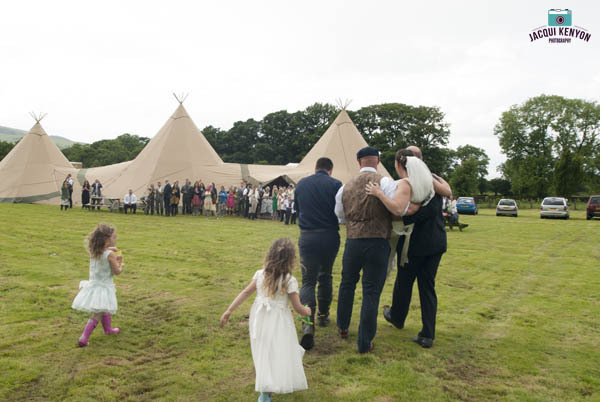 It had been a wet week and an even wetter morning so to Rebecca's surprise she was carried across the field to the tipi to mingle with her guests. Mark the videographer and I from Marlyn pictures also hitched a ride on Rogers tractor which was great fun and an even better photo opportunity. 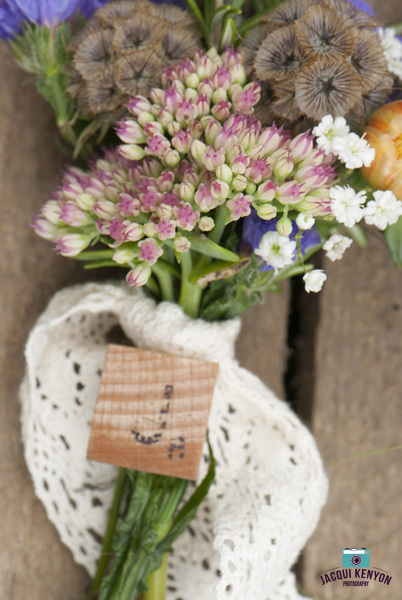 The tipi had been lovingly dressed in a rustic style by the bride and her little helpers. On arrival the guests received welcome drinks and pies from the Treacle Town Pie company of Macclesfield (which were delicious) and they also supplied the wedding breakfast followed by a hog roast in the evening. The wedding cake was from Buttercup Cakes in Whaley Bridge and continued the stunning sunflower theme. We then moved into the evening were the drinks flowed (especially the cocktails) thanks to the Cobbles of Chapel-en-le-Frith, mobile bar. The Tipi was bouncing with tunes supplied by DJ Ali B. 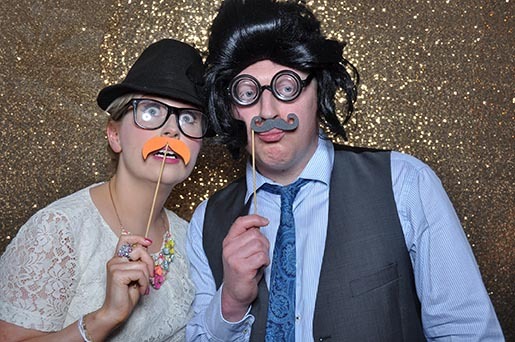 The guests all enjoyed the fun and frolics of the Photo booth which was supplied by me. Live music came from Turtlezed performing their last ever gig. 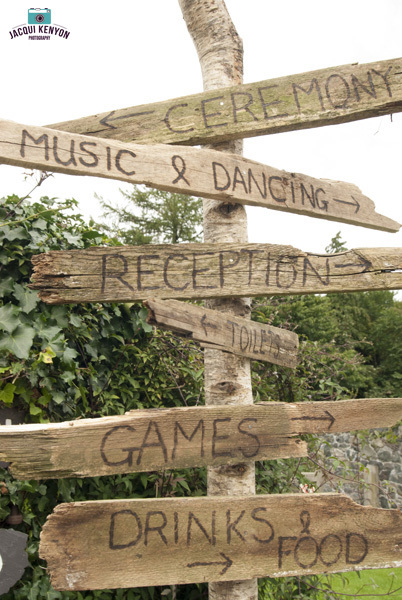 The Dance floor was heaving with a conga making its way through and around the tipi. 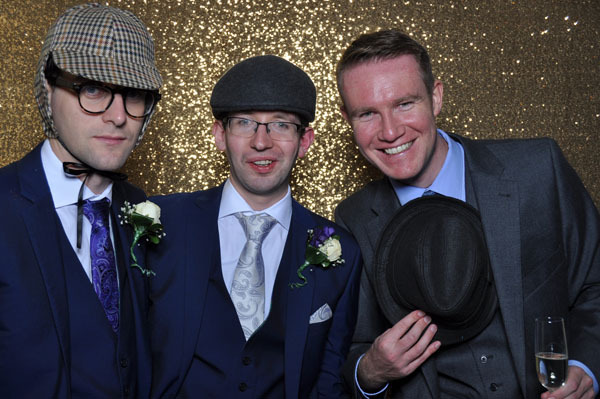 With the dancing still in full flow we packed away the photo booth to head home only to get stuck in mud, which resulted in us being towed by a wedding guest in a 4x4 at midnight lol. Never have I had such a drastic exit!! Here are a few of my favourite images from the day, enjoy! 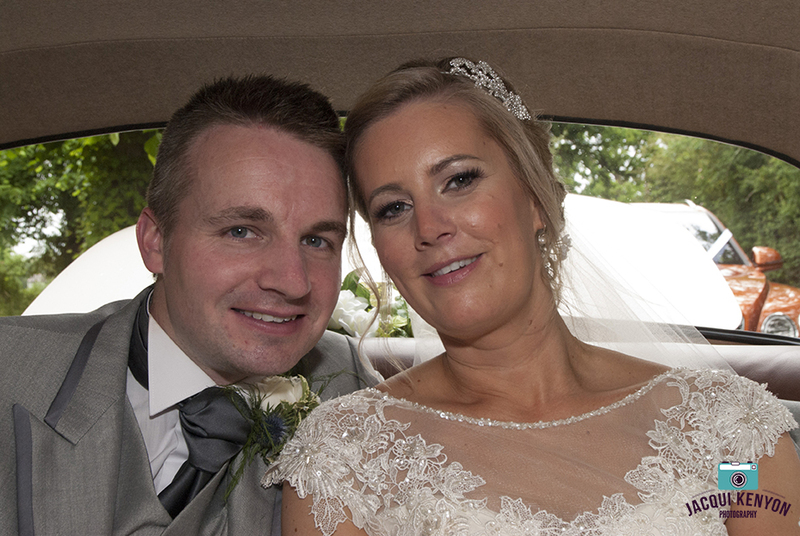 With Wedding season well and truly in full flow, I welcome you to my blog which features Mr & Mrs Almond`s special day.......I had been really looking forward to Nicola & Hugh's wedding since they booked me at The National Wedding Show, Manchester back in 2015. 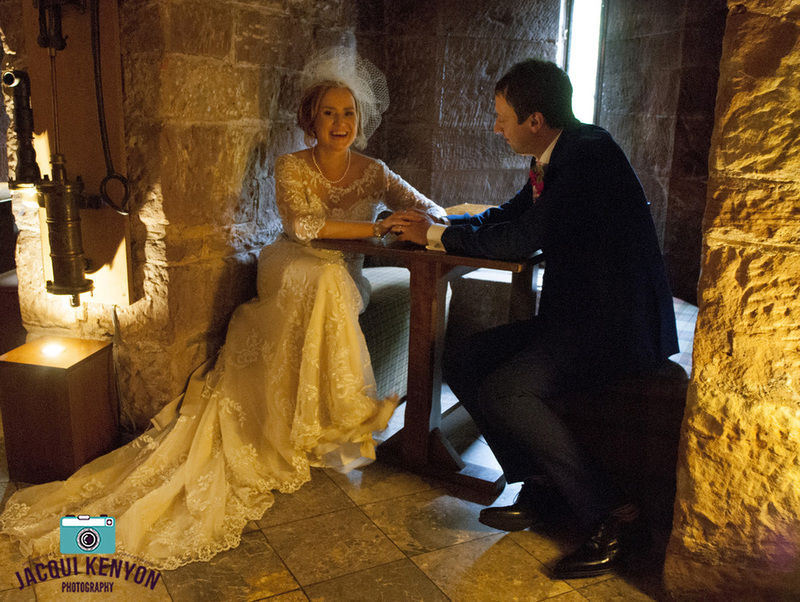 As it was my first shoot at the enchanting Peckforton Castle. 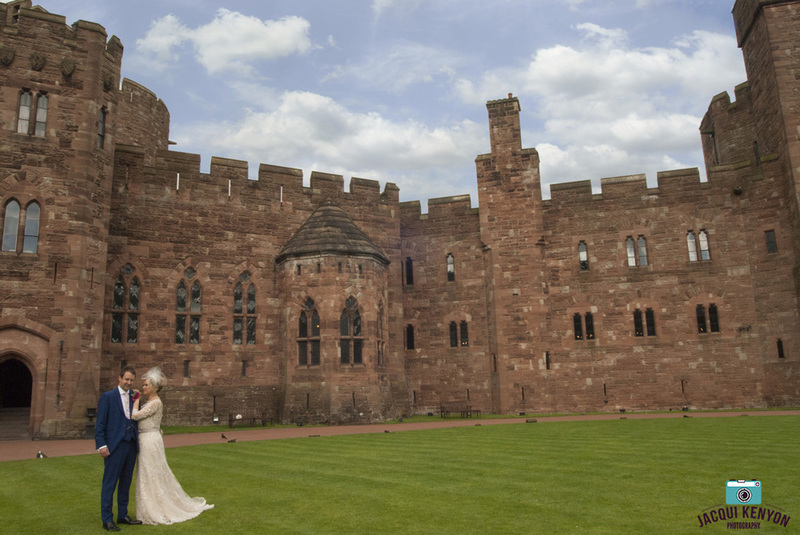 The castle had very much been in the news in the weeks leading up to Nicola & Hugh`s big day. 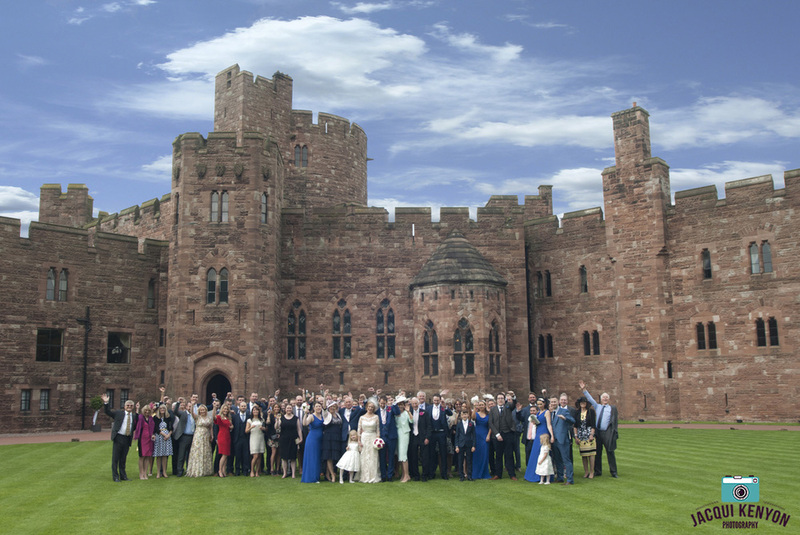 Jamie Vardy, Leicester City football player and England striker had held his nuptials at the castle. Being a huge Leicester fan and reading about Jamie's wedding in Hello magazine had only made me more excited to be shooting at such a stunning venue. 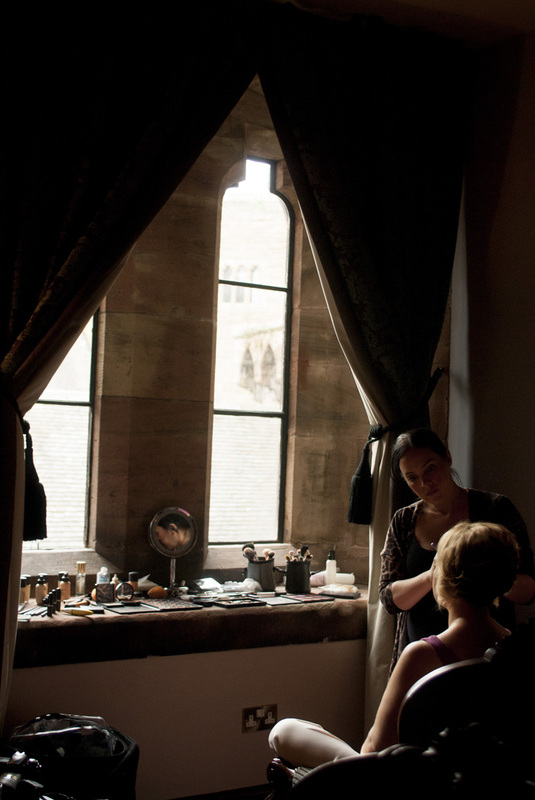 My day started with bridal preparations at the 19th century fairy-tale castle in the heart of Cheshire. 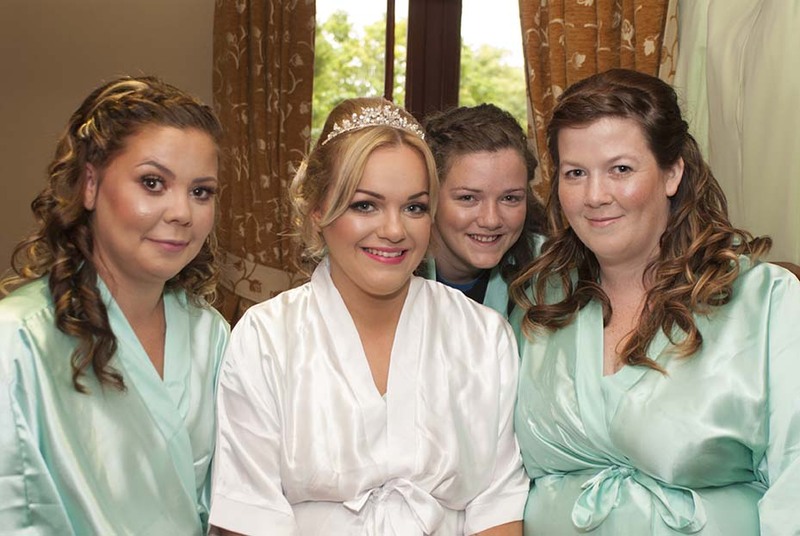 Nicola and the bridal party’s hair was expertly styled by The Hair and Beauty Retreat of Hazel grove and demur makeup was provided by Susie Taylor makeup. Nicola's elegant Downtown Abbey inspired gown was from the Confetti box, Eccles with chic flowers provided by Hazel Grove flowers. 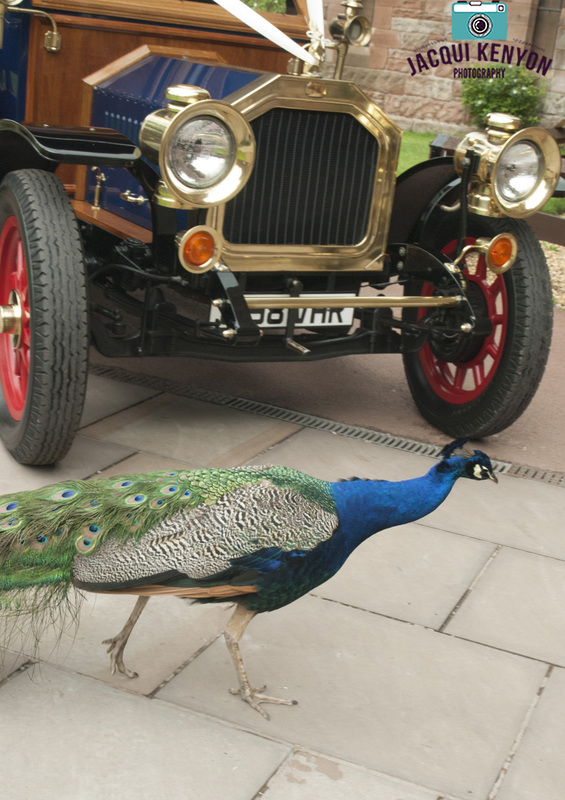 The Wedding party then made its way to the ceremony in Vintage Edwardian style wedding cars supplied by Grosvenor Classic Cars. The church was the picture postcard grade 1 listed St Boniface's Church which stands prominently in the quaint Cheshire Village of Bunbury. Bunbury was used as the location for the fictional village of Great Puxford in the ITV drama “Home Fires.” Reverend Tim Hayward was delightful and made everyone feel welcome and provided a thought provoking ceremony. After the ceremony the happy couple made their way into the church yard and were showered with confetti before mingling and receiving congratulations from their guests. Everybody then made the short journey to the castle to continue the celebrations. On arrival the guests were met with a Pimms cocktail reception and the excellent toastmaster Peter Aust. Whilst the guests enjoyed their drinks and surroundings I took the opportunity to shoot some lovely images. Peter the toastmaster then helped me get everyone together for a group shot with the impressive castle in the background. The venue had been superbly dressed by Event Dressing Cheshire creating a magical atmosphere. My own vintage Royal Mail wedding post box also featured and fit in perfectly keeping all the guest cards safe and secure. It was then time for the wedding breakfast in the drawing room with Lamb & Seared bream on the menu. Welcome to my latest blog......I had the pleasure of capturing Pete and Denise's special day in the Cheshire & Staffordshire countryside. 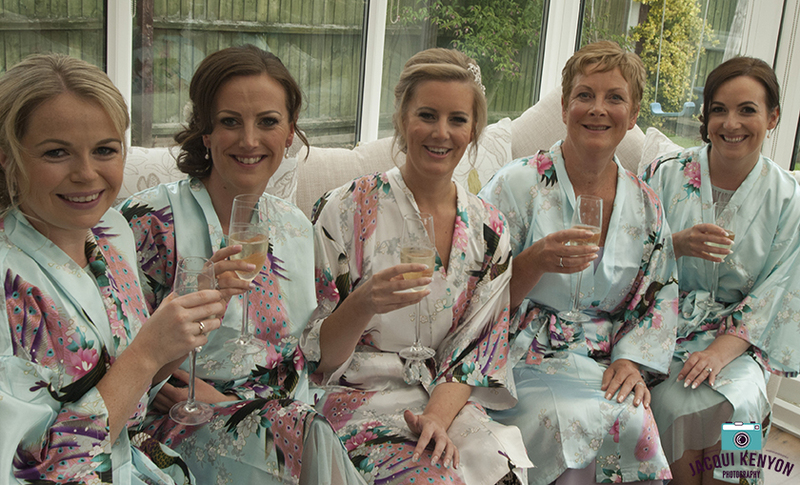 The day started at Denise & Pete’s home in Crewe where she was getting ready with her mum and bridesmaids. Make up was provided by Denise’s good friend of over 25 years Lydia Bedson professional make up artist, Hair design was provided by the fantastic Vicky of Vicky M hair. 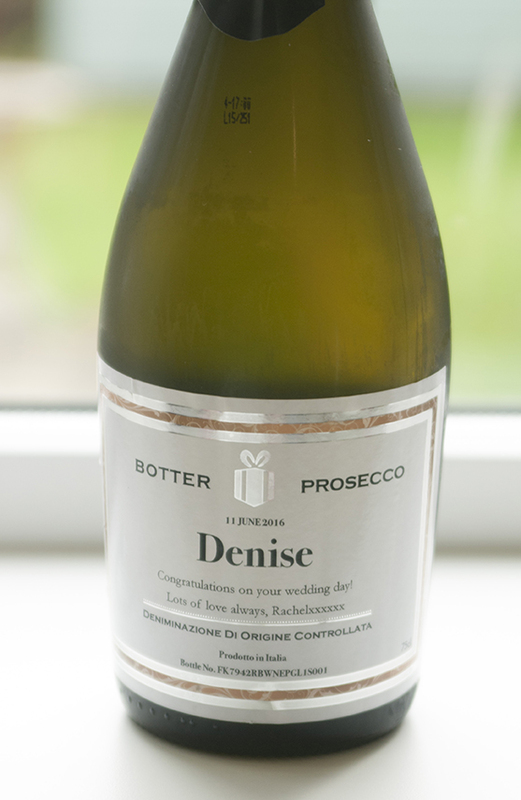 As the laughter, chat and crumpets flowed, so did the Prosecco from customised bottles, a gift from one of the bridesmaids. It was then off to the church for Denise and her girls in the timeless 1961 Jaguar Mk2 in white supplied by Classic Wedding Cars, Cheshire. 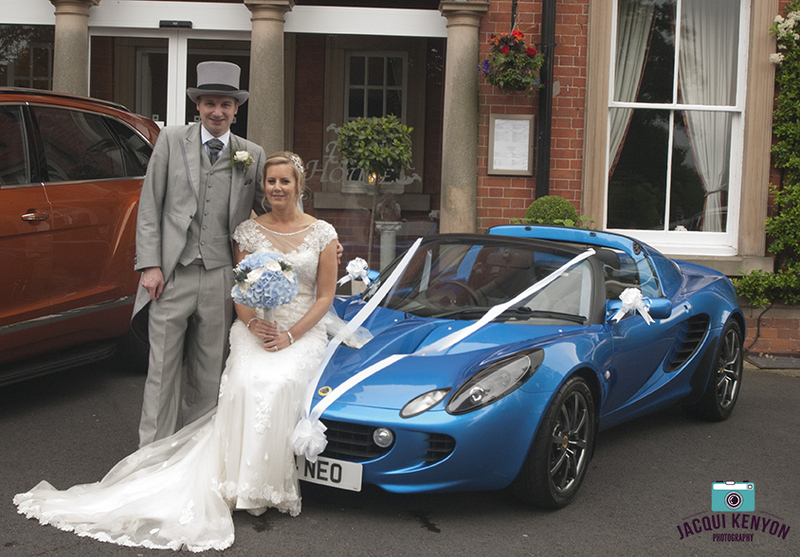 Pete in contrast arrived in the imposing Bentley Bentayga SUV and the bridesmaids in the Bentley Flying Spur, as impressive as the Bentley's were Pete ensured his beloved Lotus Elise was the star of the show (from a vehicle point of view, obviously) Pete even allowed Denise to sit on the bonnet of the Lotus. 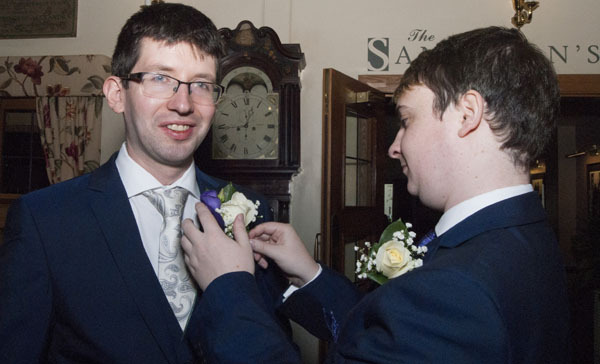 The ceremony took place in the delightful St Oswald`s church in the quaint Cheshire village, Worleston which is located just 3 miles west of Crewe. The guests were charmed by the whimsical sounds of harpist Nerys Hewitt. 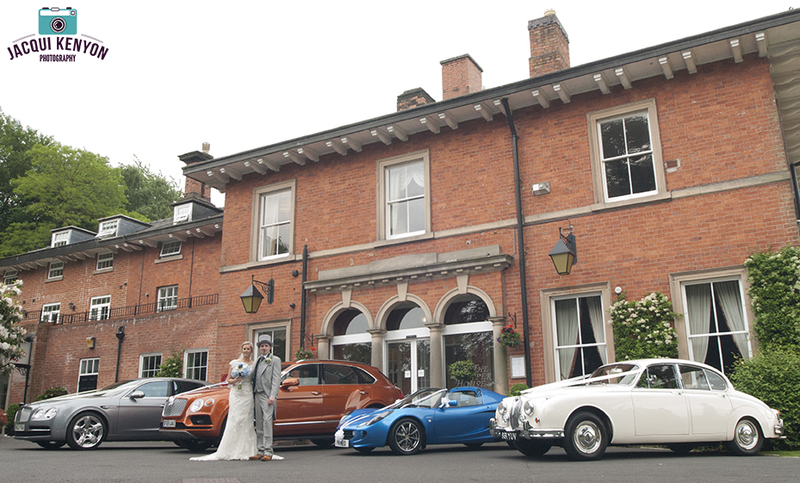 After a beautiful service the wedding party made its way across the border into Staffordshire to continue the celebrations at The Upper House Hotel in Barlaston. Upper house was built in 1845 is a 24-bedroom country house hotel with period features and chic bedrooms with picturesque woodland grounds. 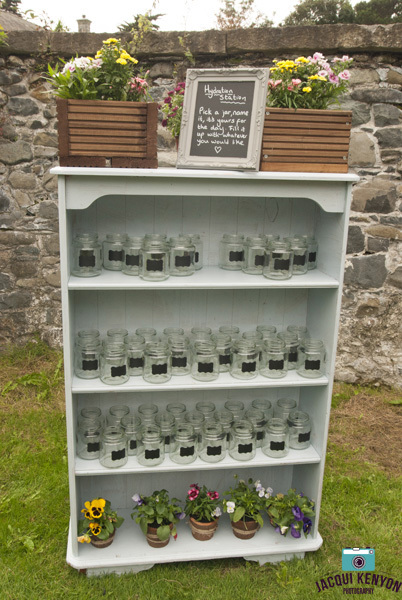 The venue had been beautiful dressed with flowers from The Enchanted Florist and many personal touches by Denise, the favours were from Haughton Honey their local honey farm, and I can confirm it is delicious. The cake also was also stunning with quirky cake toppers hand made by Denise. Despite the threat of rain this did not dampen any spirits and I even managed to get a fun image of the bride and groom on space hoppers! The guests then enjoyed their wedding breakfast, followed by the speeches that were hilarious, featuring a guitar, a recorder and a projector. As the evening guests arrived the fun and frolics continued well into the night with live music from the fabulous Dexter. Here are a few of my favourite images from the day, enjoy!